A:M Track 2 is the fastest and easiest way to create facial motion capture in real-time at your home or studio, using a regular DV or web camera. Motion capture with A:M Track 2 does not require any special skills or expensive equipment. You can use any webcam or DV camera, connect it to your computer and start capturing. Or, you can record your video in advance, load your video in A:M Track and process it. 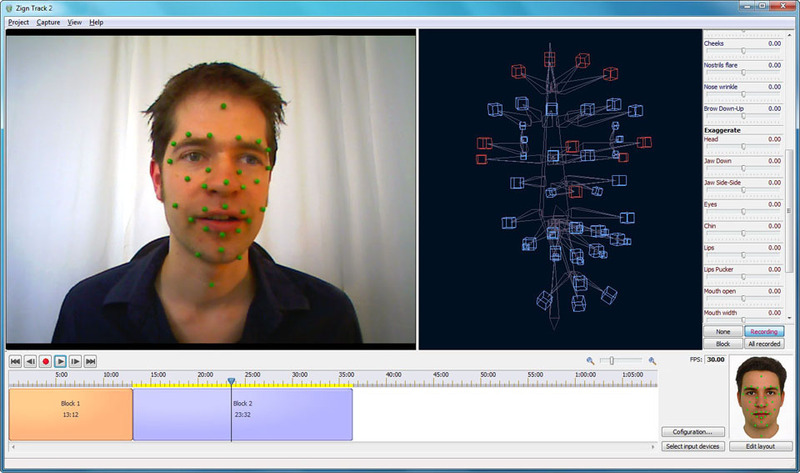 You can see the input from your cameras and see the captured motion on the face rig in the 3D preview in real-time. The build in tweak tools allow you to correct any motion or apply exaggeration before, during and after recording. Select a marker layout from a list of presets or create your own custom layouts. A:M Track 2 automatically detects your markers as soon as they are visible. If small tracking errors occur, A:M Track 2 will detect these errors and correct them while you capture. Cleaning up errors yourself is hardly needed anymore. A:M Track 2 is very similar to Zign Track 2. The difference is this edition is only compatible with Hash Inc’s Animation: Master. For compatibility with other 3D animation applications you will need Zign Track 2 or Zign Track Pro. 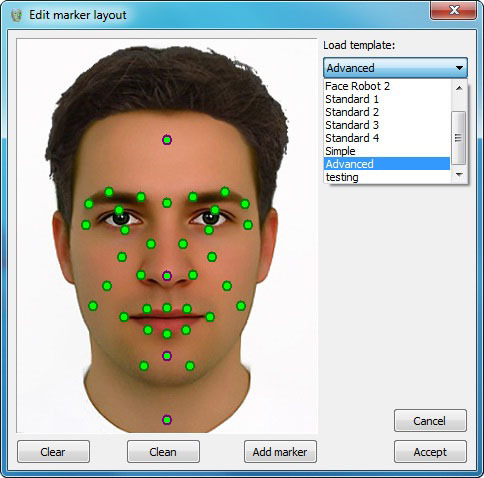 With the different predefined marker layouts you can select the layout that best suits your 3D character models. With A:M Track 2 it is no longer needed to specify the placement of each marker in your video. A:M Track 2 will search for markers based on the selected marker layout and automatically detect them. The A:M export can control both bones and poses. If you choose to use a face rig in your 3D character, A:M Track 2 will export a face rig that directly works with the generated A:M action file. A:M Track 2 generates 70 base poses based on the captured motion. You can use and combine as much of these poses as you like to as many target poses your model needs. 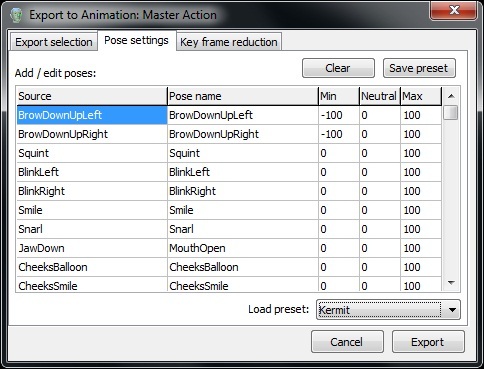 This will give you maximum control over your pose based facial animations. A detailed guide on how to import the A:M actions and face rigs models is included in the manual. 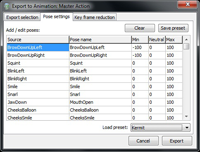 A:M action and model files generated with A:M Track 2 are compatible with Animation: Master version 13 and higher. Compare product features, system requirements and pricing for all available versions. Try before you buy: Register now and download your free 30 day trial.